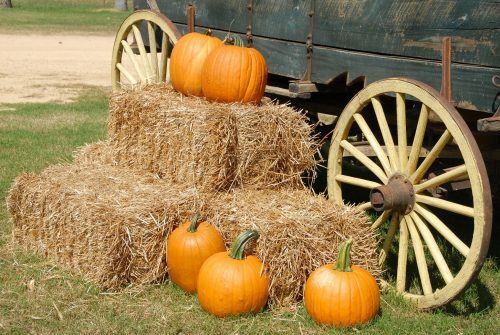 It’s fall in Round Top, which means, for many, the beginning of the Round Top Fall Antiques Show. The excitement and anticipation building up to the show lasts for months – so much preparation goes into organizing and planning for two weeks of hectic antique-hunting fun in our small town. But as with all good things, antique shows must come to an end, and you may find yourself wondering what to do around here once the vendors have packed up and the crowds have gone back home with their treasures. Looking to spend a fall day in Round Top after the antiques have been packed up until the spring? We’re more than the Antiques Show. Let us show you around. Where to stay: There are so many different options for lodging in and around Round Top – cottages for rent, bed and breakfasts, quaint hotels – that it would be unfair of us to choose just one! Visit our lodging web page, where you can browse options and request your stay. Morning: The philosophy of small town is all about taking it slow. Don’t rush through your morning coffee – stop in at Two Sparrows Roasting Co. in Henkel Square and pick up some of their fresh-roasted grounds or a bottle of cold brew. Stay awhile, and catch up with an old friend or meet someone new. If you’re looking for a great place to grab breakfast, Espressions Coffee & Art has weekend breakfast buffets, where you can sit at community tables and browse art for sale. Afternoon: Get out of the chilly air and stop by Mandito’s Tex-Mex for a plate of steaming fajitas. And for dessert, it wouldn’t be a trip to Round Top without having a piece of pie from Royers Pie Haven. This is not the place to limit yourself to pumpkin spice – there are plenty of other fall favorites, such as apple, pecan, and oatmeal cranberry cookie. Royers also offers hot coffee and warm pastries to keep the cold at bay. Round Top isn’t just known for its food or antiques – we have world-class shopping year-round. There are plenty of places to shop in Round Top, but we recommend somewhere like Copper Shade Tree – where you can take a little piece of handcrafted Texas artisanal art home with you. In addition to antique shopping, Round Top is known for its culture surrounding the arts. The Round Top Festival Institute was established in 1971, and provides musical education programs and ongoing concerts. Check out their event calendar during your visit. The Round Top Family Library is also an excellent place to attend local community events in Round Top, especially if you’re bringing children with you on your trip. Evening: Close out your day by having a glass of wine on a back patio, with a fire crackling nearby. Round Top may be small, but we are surrounded by some beautiful scenery. We recommend taking a drive as you watch the sun sink behind the hills.